Daisuke and Hiromi Hawaii wedding photos, exchanging rings at Ala Moana Beach. Our couple from France is married at Kahala Beach, with sunset wedding photos following at Waikiki. We recommend our 2-Beach Wedding package at Bridal Dream Hawaii for the best of daytime and sunset photography in Honolulu. Takao & Reina shooting Hawaii wedding photos at Magic Island. 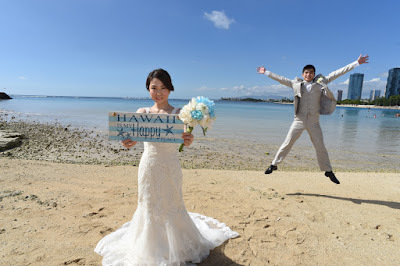 Bride's sign says: "Hawaii is my Happy Place"
Holding a "LOVE" sign may be a little corny, but that's what you're supposed to do at your wedding photo shoot. 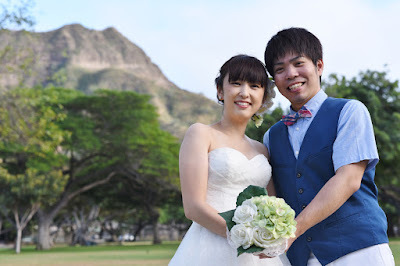 Lovely Bride Kiyomi with majestic Diamond Head nearby. Had to add a couple extra shots of the Bride at this location. 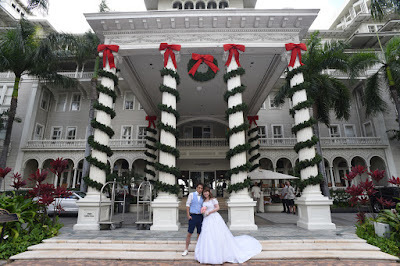 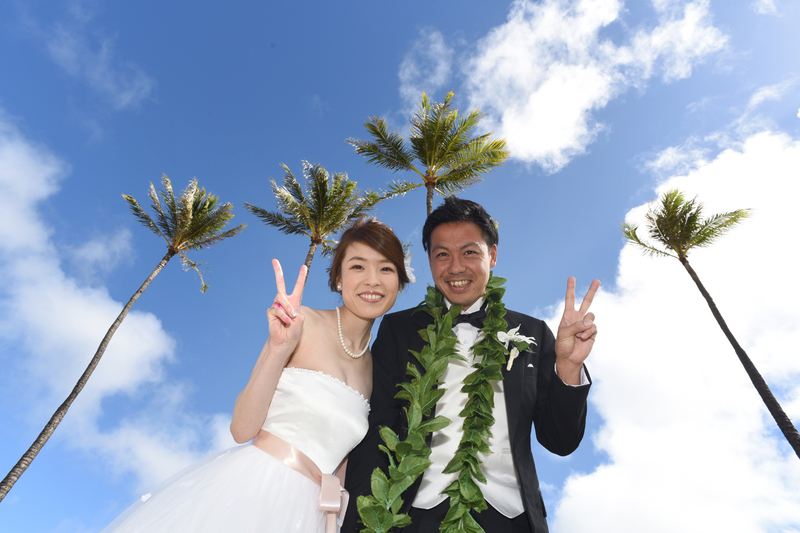 Plenty of room in our Waikiki Wedding photo gallery. 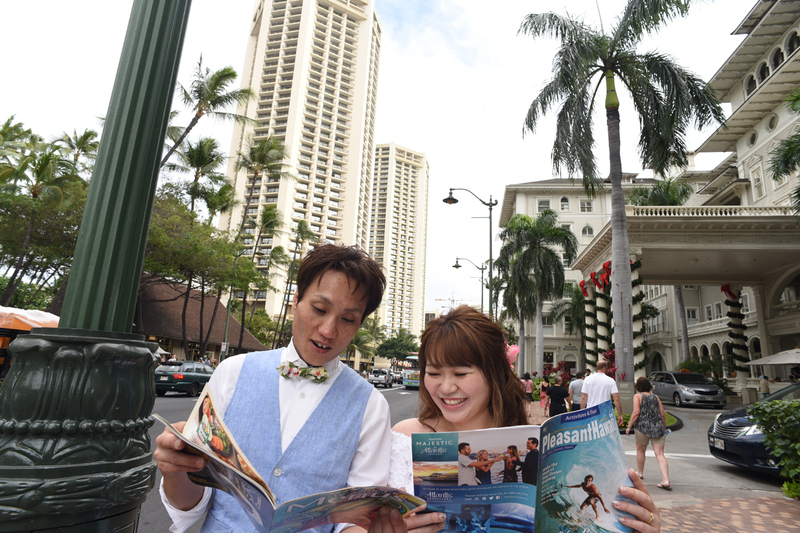 Hiroki and Kiyomi have a busy day visiting Kapiolani Park, Ala Moana Beach and Downtown Honolulu. 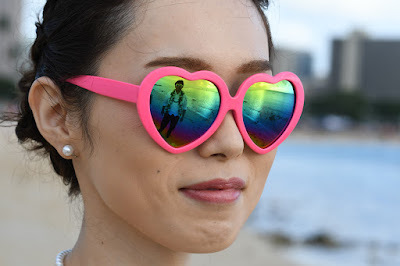 Real up-close Diamond Head is the attraction of Kapiolani Park. 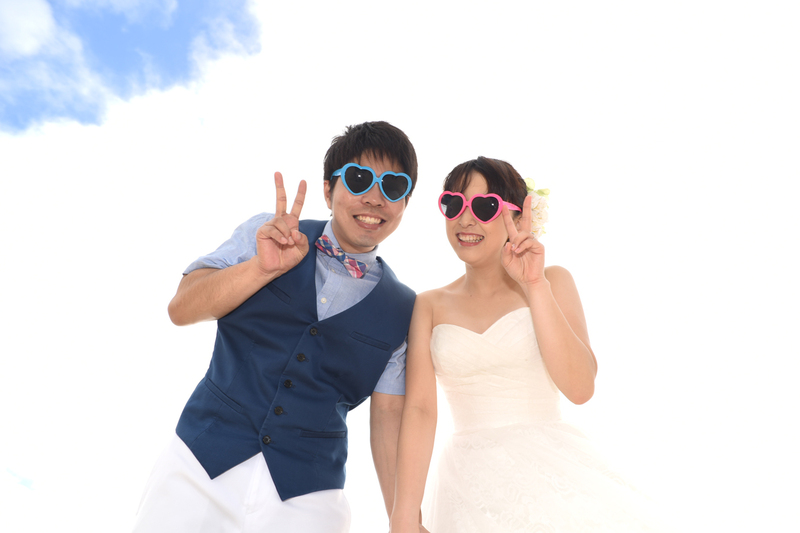 Sky shot doesn't tell us where we are, but they're kind of cool too. 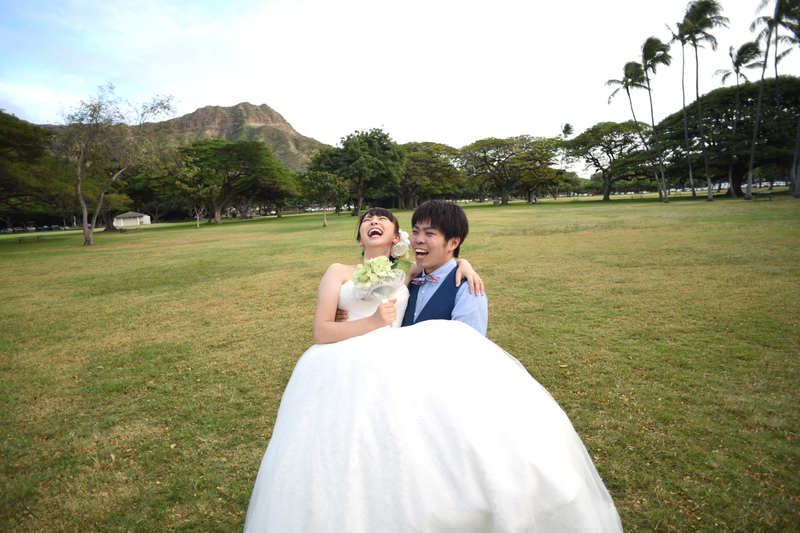 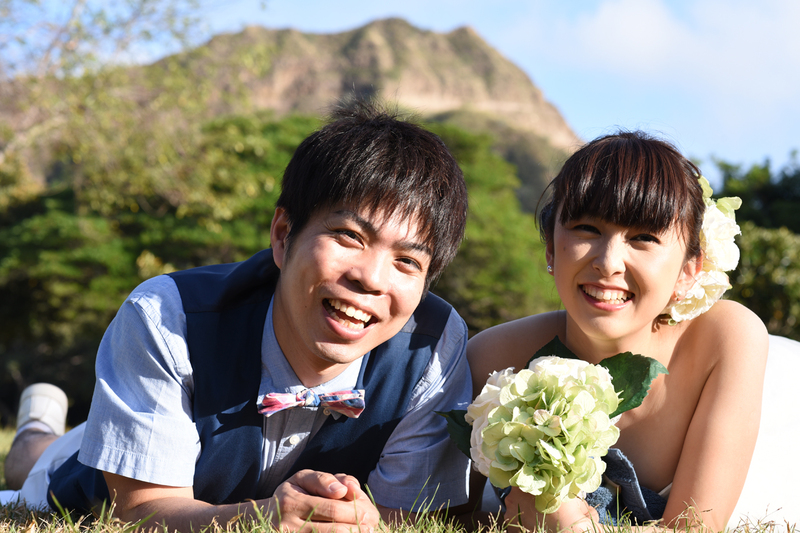 Hidetaka and Yoshiko, photogenic couple shooting Hawaii wedding photos with Oahu Photographer Robert Hamilton. 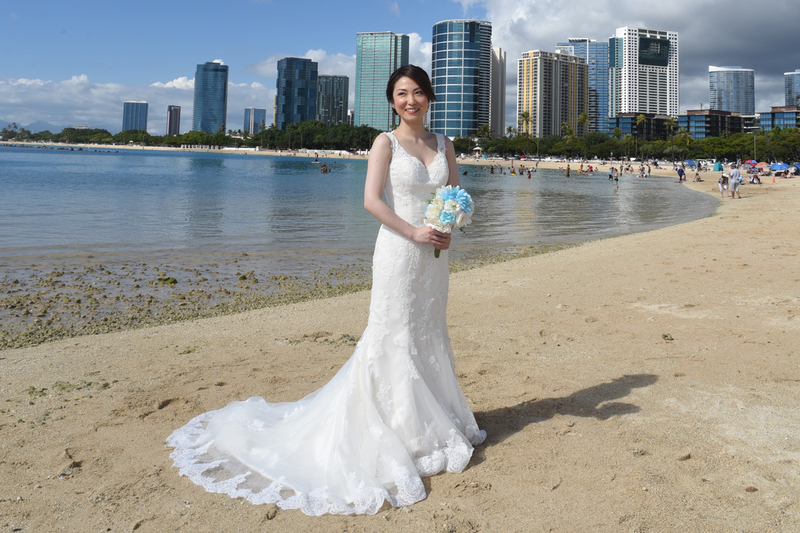 Nice view of Honolulu's skyscraper coastline from Ala Moana Beach Park. 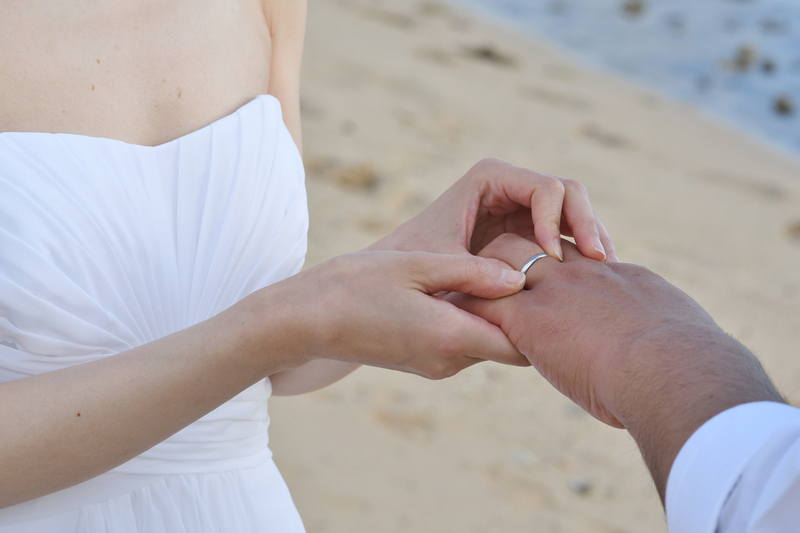 Tender moments with a gentle kiss of the Bride's hand. 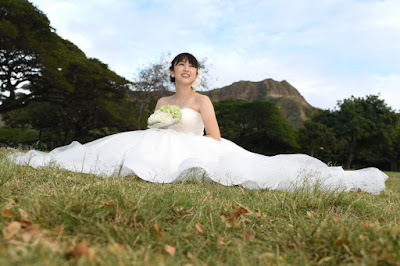 Greetings to you from Bridal Dream Hawaii. 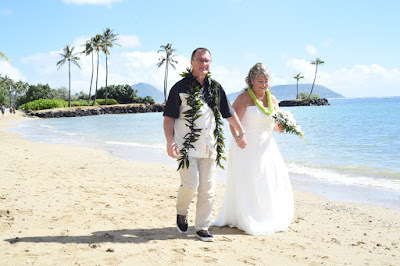 Call us for your Waikiki Wedding package on the Island of Oahu. 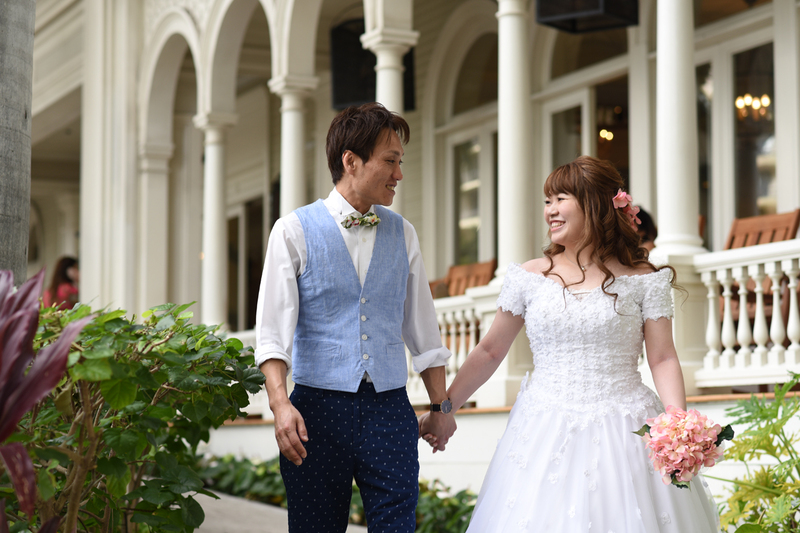 Staying at a beautiful resort in Waikiki? Add a little extra time to your wedding photography for some beautiful photos at your hotel. 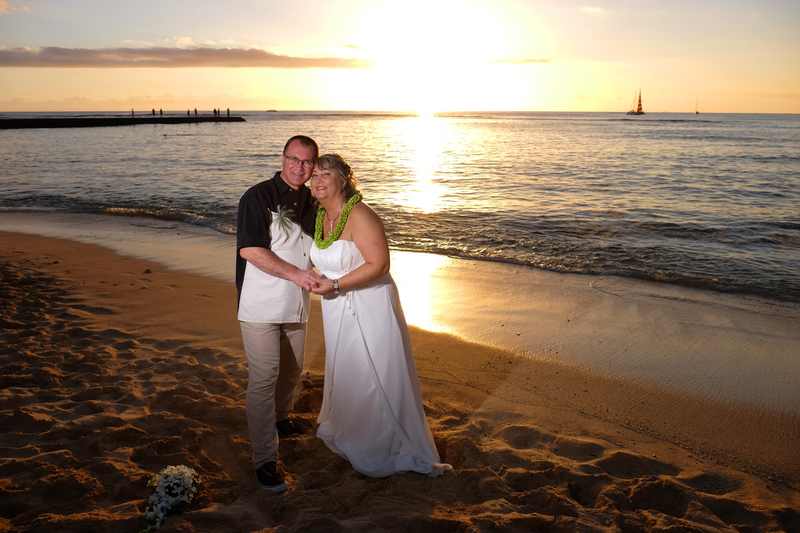 Grooms don't always get their fair share of photos, but we aim to please. 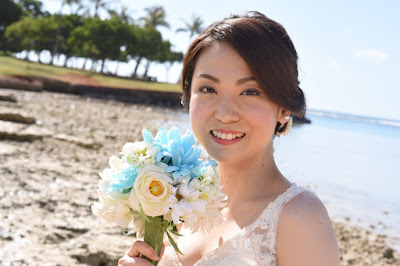 Beautiful brides like Naomi tend to get a few "extra" pics. 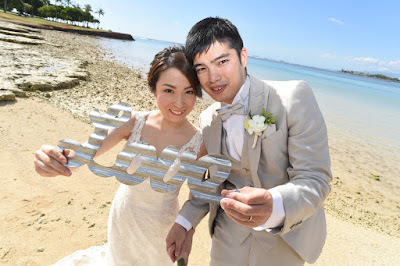 This wedding photo is about as good as they come. 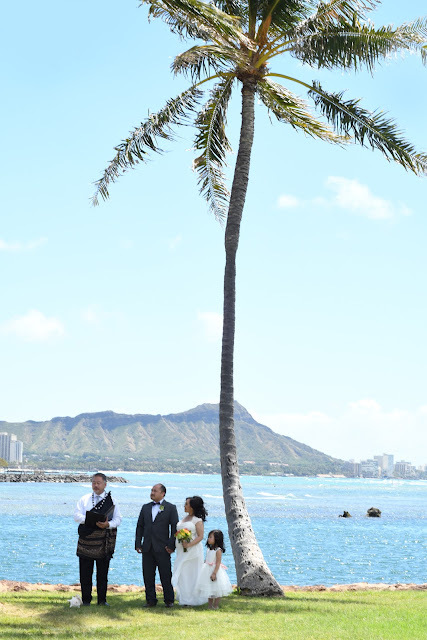 Marvelous scene with coconut tree and Diamond Head backdrop. 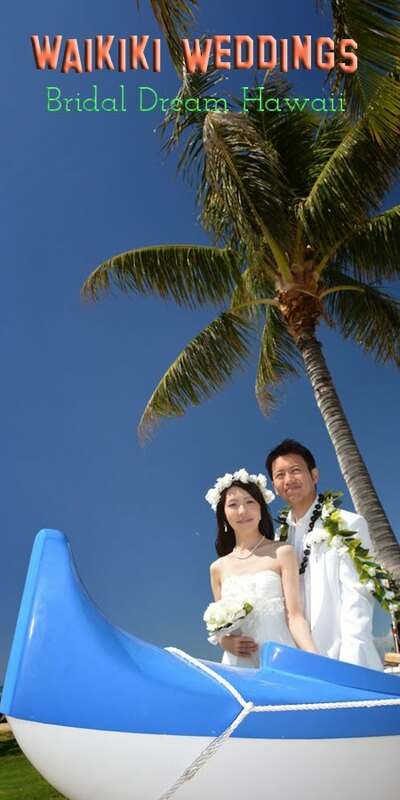 Beautiful beach view, complete with Lifeguard's surfboard, makes a nice wedding photo backdrop.